Haven’t you ever wished to see the sea glow in the dark? 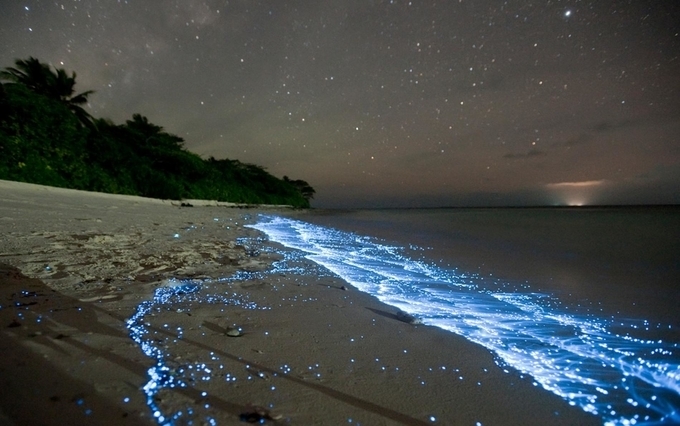 Do you watch the luminescence and wonder at what could make the beach glow at night? There are some algae and other microorganisms in tropical regions and cold waters (in some cases) that light up the sea water in various enticing colours, like red, green or blue to create the phenomenon called bioluminescence. Bioluminescence or the glowing beach phenomenon entices millions of tourists worldwide, as the spectacular colorful display makes them feel like swimming surrounded by the stars. The protected internal shore of Golfo Duce which means Sweet Gulf is one of the only tropical firths in the world and is the perfect place to try sea kayaking. You can find seasonal whales and dolphins in the water around this coast. The Playa Nicuesa, Rainforest Lodge at Golfo Duce, is the best place to experience bioluminescence. 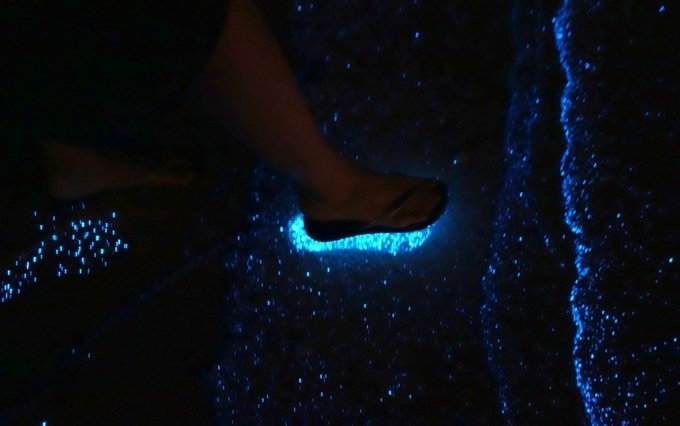 Make sure you to walk to the boat dock at the lodge to get stunning views of the glow in the dark beaches. You can also take a kayak tour to see the stunning green and blue fireworks near the coast. As the biggest inland waterways’ network in Australia, Gippsland Lake is perfect for water-based adventure lovers or other tourists want to spend leisure time. Major attractions of the lake are the cruise via a boat, water skiing, canoe or kayak paddle tour and views of a few rare dolphins and glowing algae creating the beach night light. Algae blooming in the Gippsland beaches started during 2006 bushfires when torrential rains washed off excessive organic matter into the water bodies to create this enticing effect. 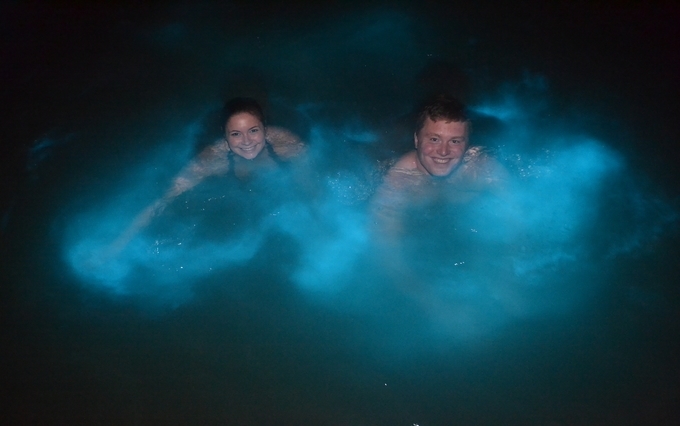 Visit the glowing sea beach of Luminous Lagoon in Jamaica, where you can see the stunning lights produced by dinoflagellates microorganisms. As they glow in dark inside shallow warm waters, they light everything in the lagoon they touch, like plants, fishes and professional swimmers. Do not forget to experience swimming here at night to get the views of the magical light. Want to experience unique glow in the beaches, just visit the Mudhdhoo Island of Maldives. 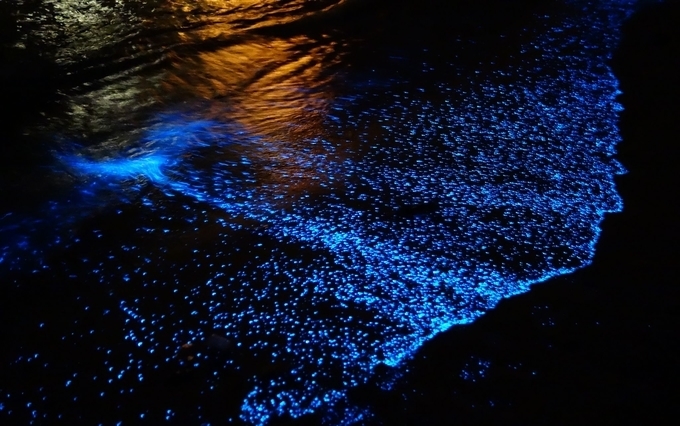 Organisms of the Mudhdhoo Island beach glow individually to make the ocean as appear like a huge cluster of bright spots instead of a glowing ocean. As the organisms emit the light for a long time, you may view the glow with only a small movement. Besides swimming in the water, you can even walk across the sand’s edge to get views of the glow. Torrey Pines State Beach belongs to the northern area of La Jolla and southern area of Del Mar near San Diego. The popular beach surrounds a scenic landscape caused due to coastal erosion from the nearby reserve of the same name. View the greenish glow at the sandstone cliff’s bottom, as it plunges into the water. 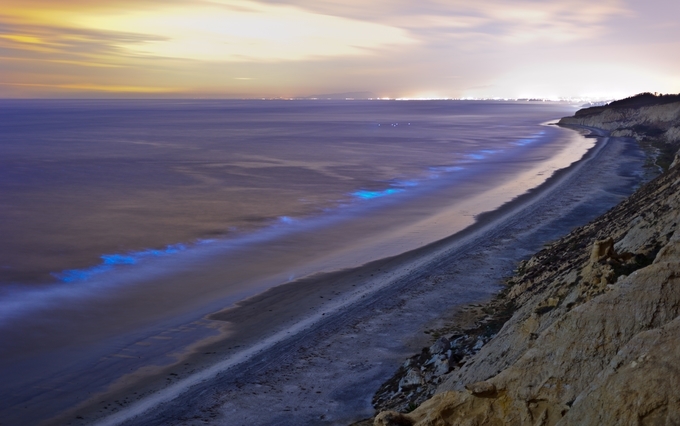 Cremorne beach of Tasmania in Australia lights up periodically during the night because of the presence of another unique phytoplankton in the beach’s shallow waters. Even a few expert divers believe the phytoplankton is responsible for creating the stunning glowing light as sea sparkles or noctiluca scintillans. 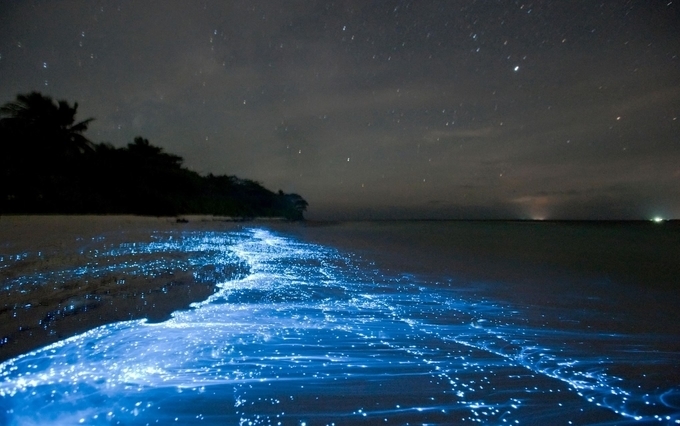 Glow in the dark beaches are must-visits at least once in your life regardless of the country or area in the world. Check out our blogs on best beaches to visit! !